A spectacular detached country house set in a beautiful semi-rural position with stunning open views. 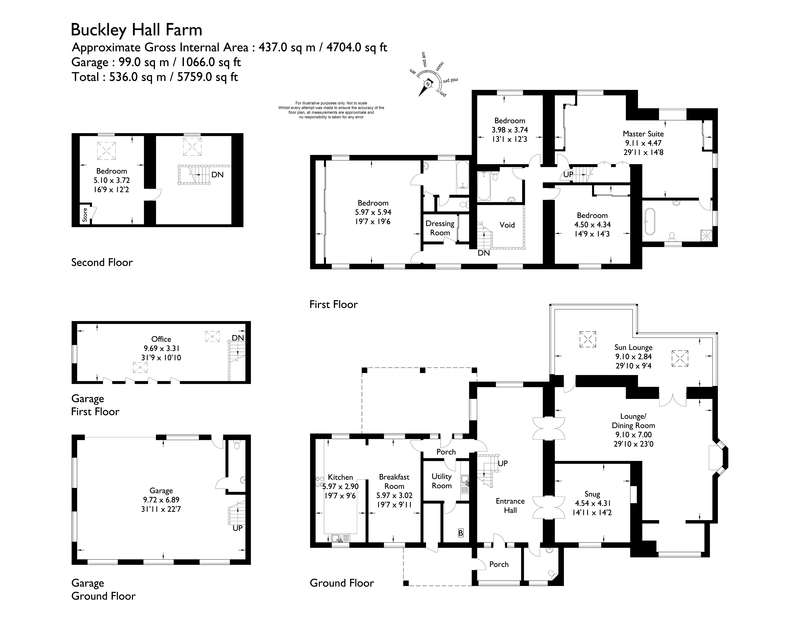 The property offers four receptions, breakfast kitchen, master suite including dressing room and four further bedrooms. Externally is a detached garage with home office above, attractive gardens, patios and land of just over 9 acres. Traditional pitch pine panelled door with sealed unit double glazed side windows, timber effect laminate flooring. Sealed unit double glazed pitch pine window to front and inner gable elevations. Stone flagged flooring, three high stand cast iron radiators. Feature ceiling lighting, rear pitch pine panelled doorway. Large L-shaped room, feature carved stone fireplace with raised stone half housing Clearview multi-fuelled stove. Stone flagged flooring, antique pitch pined and glazed leaded doorways leading to adjacent rooms. Separate dining area, three high stand cast iron radiators, and sealed unit double glazed timber windows to each side of chimney breast. Small annexe study area, sealed unit double glazed timber window with stone mullions. Accessed by two separate doorways from the living/dining room. Sealed unit double glazed pitch pine surround windows with matching French doors, tongue and groove boarded ceiling, two sealed unit double glazed skylights, timber flooring. Wall mounted pepper pot radiator, twin ceiling mounted fans. Scandinavian style glass fronted multi-fuelled stove raised stone half with timber mantles. Sealed unit double glazed window to rear elevation, stone flagged flooring, high stand cast iron radiator. Kitchen with separate seating area. Range of fitted oak furniture with complimentary ‘Corian’ work surfaces. Composite sink with chromed mixer tap. Built in ‘De Dietrich’ microwave and electric oven. Built in fridge. Built in freezer. Four ring ‘Blomberg’ ceramic hob, marble effect tiling to kitchen area, timber floor to seating area. Sealed unit double glazed pitch pine window to rear elevation, twin double glazed pitch pine windows to front elevation. Double panel central heating radiators, built in glass fronted kitchen cabinet. Built in corner cupboard. Traditional porcelain Belfast sink with timber draining board and chromed mixer tap. Plumbed for washing machine, single panel central heating radiator, built in cloak cupboard. Pedestal wash hand basin, low level w,c, ceramic tiled walls and floors, chromed wall mounted radiator towel rail, ceiling lighting, extractor fan. Floor mounted ‘Ideal’ boiler providing central heating and domestic hot water, sealed unit double glazed pitch pine window to rear elevation. Sealed unit double glazed rear porch, wall mounted radiator. Traditional pitched pine timber staircase with turned newel posts and a carved hand rail. Useful linen storage room with loft access. shelving. Ceiling lighting, double panel central heating radiator. basin, low level w.c, separate shower cubicle. Sealed unit double glazed windows to both rear and gable elevations. elevation. Built in linen storage cupboard. Sealed unit double glazed pitched pine window to front elevation, double panel central heating radiator, fitted wardrobes. basin, ceramic tiled walls and floor, ceiling lighting, wall mounted radiator towel rail, extractor fan. Pitched pine timber balustrade, twin sealed unit double glazed ‘Velux’ skylights, double panelled central heating radiator. Double panelled central heating radiator, twin sealed unit double glazed ‘Velux’ skylight, airing cupboard. To the front of the property is a covered patio area which is stone flagged, stone columned and timber open roofing. to a further open parking area suitable for several vehicles. over door, light power and water installed. panel central heating radiator, ample eaves storage, ‘Velux’ skylight. The property has an attractive lawned garden to the front elevation with stone patios to either side of the garden room. Separate paved and pebbled patio gardens to the rear and gable elevations. 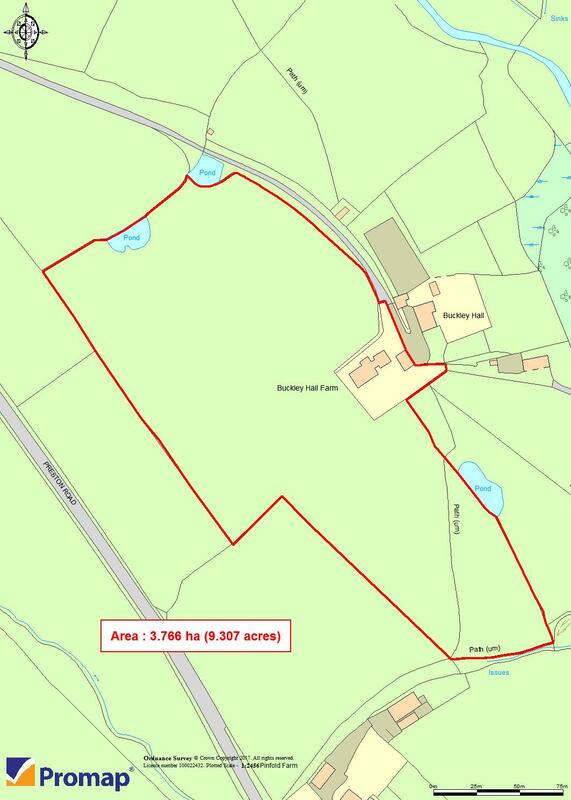 The property has the benefit of land which sits to the south west of the property which extends to approximately 9.3 acres. Mains electricity, mains water, mains gas, sewerage to private septic tank.